TOKYO (Bloomberg) -- Nissan Motor Co., Japan's third-largest automaker, swung to a first-quarter profit as auto demand recovered in North America and sales grew in Asia. 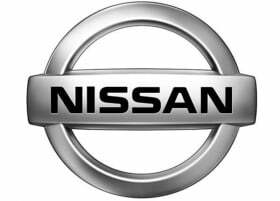 Nissan posted net income of 106.6 billion yen ($1.22 billion) for the three months ended June 30, compared with a 16.5 billion yen loss a year earlier, the Yokohama, Japan,-based company said in a statement Thursday. The results beat the 58 billion yen average of three analyst estimates compiled by Bloomberg as sales rose to 2.05 trillion yen from 1.5 trillion yen. CEO Carlos Ghosn expects Nissan's global sales to increase 8 percent this fiscal year, aided by 10 new models, including the Leaf electric car and the Micra/March subcompact. The carmaker's sales surged 68 percent in China during the quarter compared with a year earlier, while government subsidies boosted sales in Japan. “In Japan and China, Nissan's sales are growing very well compared to Honda and Toyota,” said Hiroaki Osakabe, a fund manager at Tokyo-based Chiba-gin Asset Management Co.
Nissan plans to start selling the March in China next month and will raise annual production capacity in the nation almost 70 percent to 900,000 units by 2012. The March, which is sold as the Micra in Europe, is being built at the Nissan's new joint plant with alliance partner Renault in Chennai, India. Micra exports to Europe start in September. Nissan's sales in Asia excluding Japan rose 62 percent during the quarter to 308,000 vehicles, while sales in its domestic market grew 19 percent to 138,000. In North America, sales gained 23 percent to 278,000 units. “Challenging market conditions persist, but our performance reflects strong demand for Nissan's products,” Ghosn said in the statement Thursday. Nissan reiterated its forecast for net income of 150 billion yen for the year ending March 31, compared to 42 billion yen a year earlier. Even as Nissan earned two-thirds of its full-year profit forecast during the quarter, the company didn't make a revision because of uncertainty over the rest of the year, Corporate Vice President Joji Tagawa told reporters in Yokohama Thursday. The automaker will decide whether it needs to change the forecast in the second half, which starts on Oct. 1, he said. Nissan will cut output in Japan by about 20 percent from October compared with its September production plan because of the yen's strength and the expiration of government subsidies in the nation, the company has said. Sales in Japan may fall 20 percent to 30 percent when subsides expire, as they did in Germany and France, Tagawa said. Honda Motor Co. reports first quarter earnings Friday while Toyota Motor Corp., Japan's largest automaker, will announce its results on Aug. 4.